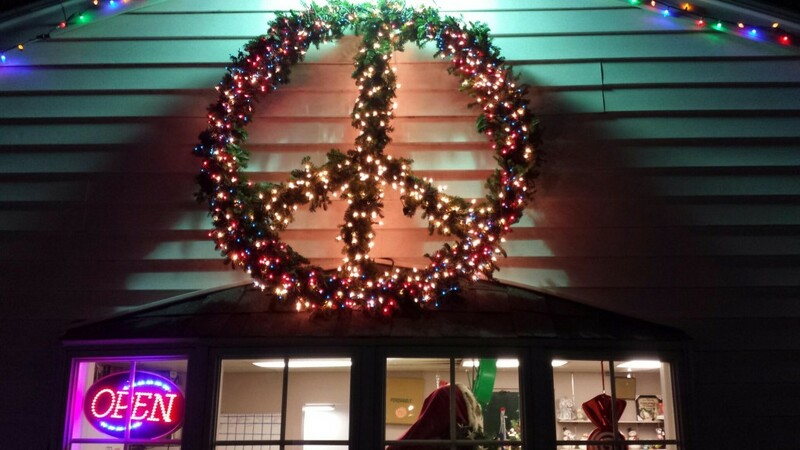 In wake of the recent tragedys in our world, we made this to offer a symbol of peace to our community this holiday season. My grandfather Peter Costanza started buying Christmas trees in bunches of 3s from the public market in 1931 to sell from the family barber shop on Genessee St. The trees were displayed in snow banks, on the roof and from the basement, He purchased the property on Paul Rd in Chili and kept a small display there. His wife Arvadia (grandma Peggy) would sell those trees from the front yard. In the years to come he purchased tree farms in Warsaw, NY and Holley, NY. In 1977 his son Chuck and wife Terry took over the business with the help of his 5 children. Today his daughter Peggy and her husband Jim run the business with their son Erik. We appreciate your business, and being a part of our history! Come shop in our heated building! Stop by and pick up a free candy cane while you shop for your perfect tree. We offer free coffee and hot chocolate served to our customers on the weekends.